Though he retired from touring in 2016, singer and actor Vicente Fernández is one of his country's most recognizable and influential cultural figures. His romantic tenor voice relates songs of philandering caballeros, corrupt politicians, the joys and perils of love and rural life among everyday people, have garnered numerous chart-topping hits on the Latin and Mexican music charts. Since the mid-'60s, Fernández's popularity in Mexico is likened to Frank Sinatra's and Elvis Presley's in the U.S. His albums have sold more than 50 million copies. Fernández has been nominated for numerous awards including Grammys and holds membership in the International Latin Music Hall of Fame. Adorned in a trademark supersized sombrero and eye-popping costumes, and accompanied by a mariachi orchestra in glittery matching outfits, Fernández's visual appearance matches his emotive, romantic, operatic voice. His finest albums include his 1968 breakthrough El Remedio and 1974's El Hijo del Pueblo, which netted four Top Five singles. 1991's El Charro Mexicano registered on charts across Latin America and in the United States. The global reception to 2011's chart-topping, award-winning Otra Vez revealed Fernandez was not only a mighty force in Mexican music, but one of the most celebrated song stylists in the world. Of his many albums, nine have landed in the Top 200. He has hit the top spot on the Mexican Regional Albums charts ten times and placed some three dozen albums in the Top Ten. Vicente Fernández Gomez was born February 17, 1940 in Huentitan el Alto, Jalisco, Mexico. His youth was marked by struggle. Forced to drop out of school in the fifth grade to help support his family, he held a number of odd jobs. He began to sing and play guitar at age eight and won amateur contests almost from the start. Fernández lore claims that he would go to Guadalajara, where he would stop cars and offer to sing for the drivers for a few pesos. By the early '60s, he had turned semi-professional, singing with local mariachi bands. Moving to Mexico City, he joined Pepe Mendoza's band, Amanecer, and then the band led by José Luis Aguilar. In Mexico City, Fernández was regularly rejected by record labels, but he was finally noticed by CBS Mexico in 1966. His career did not take off quickly. 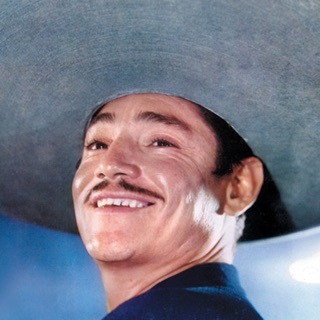 Although he managed to sell modest quantities of albums and singles, began appearing in Mexican films (he has been in more than 25 to date), and logged such hit singles as "Tu Camino y el Mio" and "Cantina del Barrio," it wasn't until 1976, ten years into his recording career, that Fernández truly began his ascent to the top. "Volver, Volver," a ranchera written by Fernando Z. Maldonado, became a massive hit, its lyrics of forgiveness in a relationship touching a nerve among listeners. The song established Fernández not only in his home country but in other Spanish-speaking populations, including the millions of Mexican-Americans in the U.S. Many Mexican music groups cover the song when they perform live. From that point on, Fernández could seemingly do no wrong. His every single and album was a hit, and the public adored him. He became the first performer to sell out Mexico's Plaza de Toros bullfighting stadium, singing to over 50,000 fans. In the U.S., he has sold out such large-capacity venues as New York's Madison Square Garden, where he once shared a bill with his son, Alejandro Fernández, himself a major singing star. Vicente Fernández, Jr., one of the star's other sons, is also a well-known singer. In 2005, Fernández opened a covered rodeo arena on his ranch outside of Guadalajara. He named it after himself. 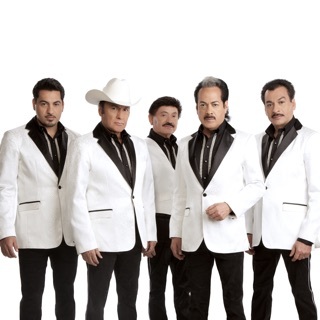 He released the multi-platinum-selling La Tragedia del Vaquero in 2006. After marathon sessions with producer Joan Sebastian (who wrote or co-wrote all the songs on the set with Miguel Trujillo), Fernandez released his 79th album, Para Siempre, in 2007. It would net him five charting singles and hit the top spot on the Mexican and Latin albums charts, as well as Mexico's pop chart. It sold over two million copies globally, and became the best-selling Regional Mexican album in the U.S. during the new century's first decade. Fernandez, then in his late sixties, went on a Latin Grammy tear beginning with 2009's Primera Fila, followed by 2010's Necesito de Ti, which also won the Grammy Award for Best Regional Mexican Album. In addition, Latin Grammy wins continued for 2011's El Hombre Que Más Te Amó and 2013's Hoy. He was nominated for 2014's Mano a Mano: Tangos a la Manera de Vicente Fernández, a change-up album that featured the singer and an all-star band of mariachi musicians performing classic Argentinian songs.